Dave Splash Dot Com: He Nails It! 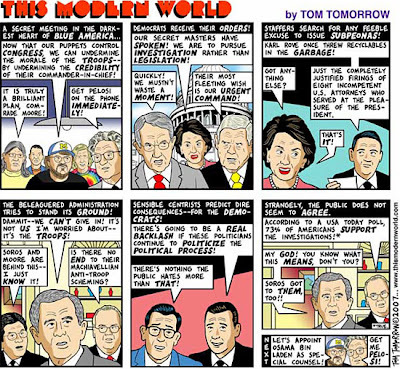 Tom Tomorrow hits it out of the park with this one. This is exactly the way the right thinks. I think the cartoon is supposed to be an exaggeration, but in reality, it is not.